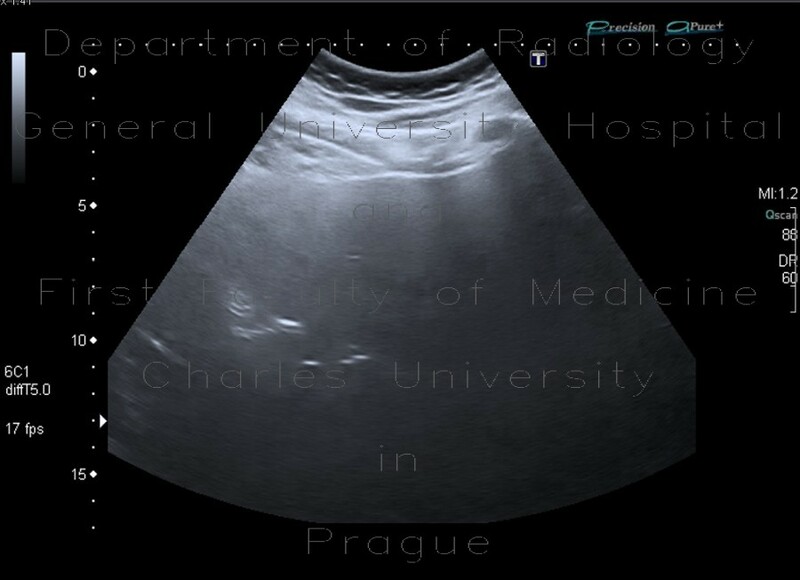 The echogenicity of liver parenchyma is increased and attenuation of the ultrasound causes deterioration of the image into the periphery more than usually. This suggests increased fatty content of the liver - fatty liver. In the middle of the right liver lobe close to porta, there is a well-defined hypoechoic area without mass effect, which represents parenchymal sparing - an area with normal fat content. These areas can be usually found along the portal branches, along the gallbladder and close to inferior vena cava.